Kevin Zhou is Co-Founder and Managing Partner at Galois Capital, a hedge fund that trades cryptocurrencies and cryptoassets founded in 2017. Prior to this, Kevin was Head of Trading at Kraken, one of the largest digital currency exchanges in the world. Previous to that, he was Head of Trading at Buttercoin, a YC and Google Ventures backed bitcoin exchange. He has been trading crypto since 2011. 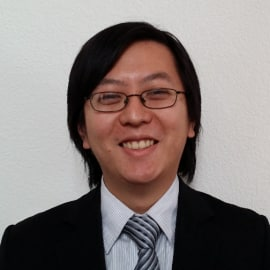 Kevin holds an Masters of Financial Engineering from UC Berkeley, an MA in Economics from Boston University, and a BA in Mathematics and Economics from UC Berkeley.